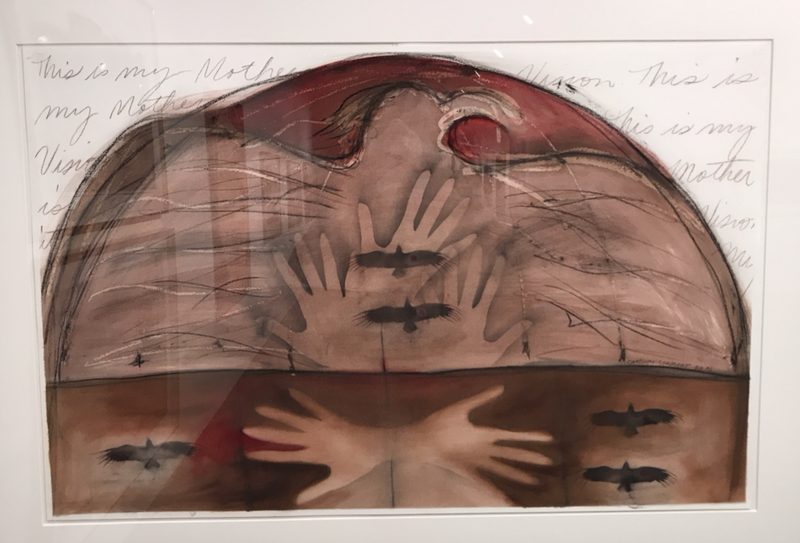 If you go to one Calgary art exhibition this fall, I recommend the Joane Cardinal-Schubert exhibition at the Nickle Galleries in the Taylor Family Digital Library, at the University of Calgary. It is on until December 17th. This exhibition brings together 60 artworks from private and public collections across Canada. Joane and I had many long and lively conversations about the contemporary art scene when I was the Executive Director/Curator at the Muttart Art Gallery (1984 to 1994) located in the Memorial Park Library building, now Contemporary Calgary. 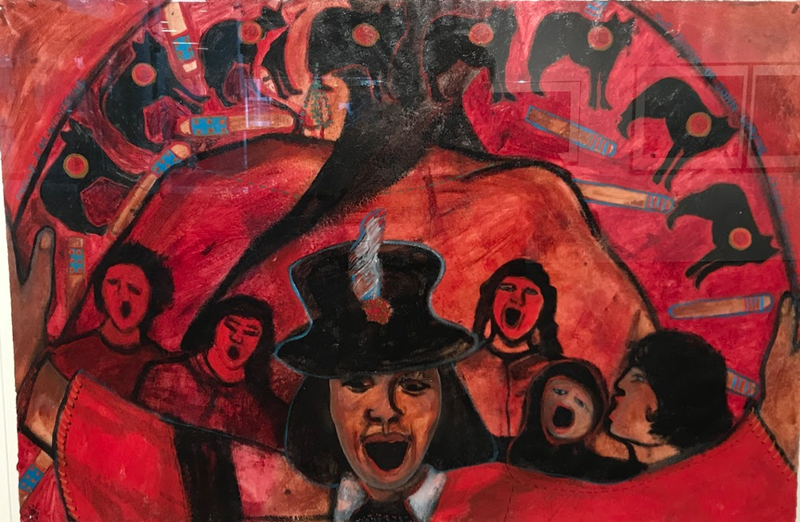 Adamant she didn’t want to be known as a “Native Artist” but as a contemporary Canadian artist whose work comments on current Canadian issues, which just happened to be about racism, ethnicity, colonialism and residential school experiences. These were the things, she knew best. It is ironic that her personal artistic statements are probably more relevant and more political today than at the time of our discussions 30 years ago. 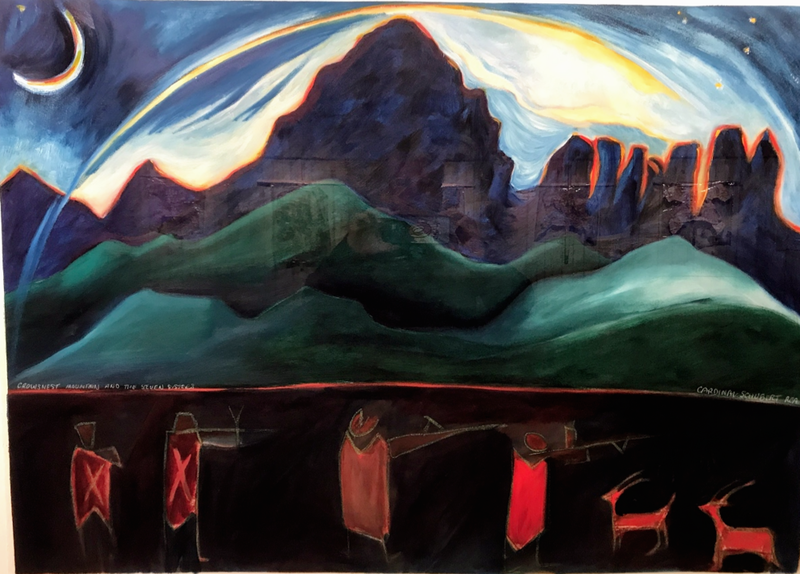 For me, the love of Joane’s work was immediate…I loved the intensity of the colour, the use of colour, images and words to communicate to the viewer. I loved the narratives in her paintings and installations. I share these images of the exhibition with you as a teaser, as a catalyst to encourage you if at all possible to see the exhibition for yourself. Joane, who passed away in 2009, is one of Alberta’s most important artists. 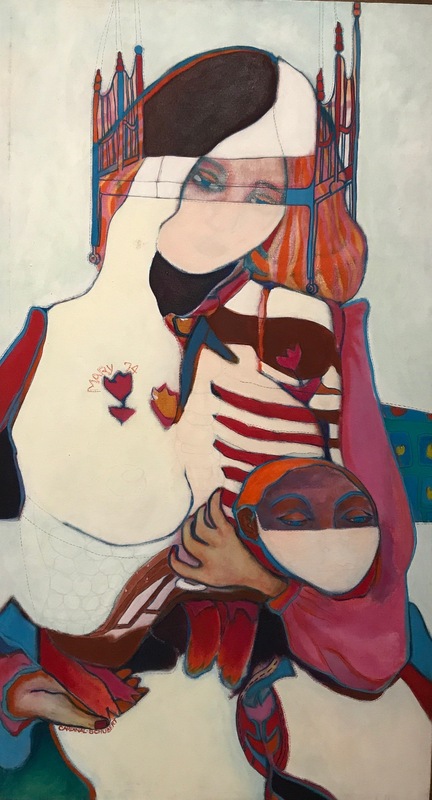 While she is a member of the prestigious Royal Canadian Academy of Arts, she deserves to be a household name among the likes of Lawren Harris, Emily Carr and Jack Shadbolt. I will let the art in “The Writing on the Wall” speak for itself. You may (or may not) be aware of Joane’s work as she has a major sculpture at the Calgary International Airport in the domestic terminal immediately after you check-in. For those of you who don’t live in Calgary, unfortunately you will have to make due with these images.